Show love, especially to those who are down. 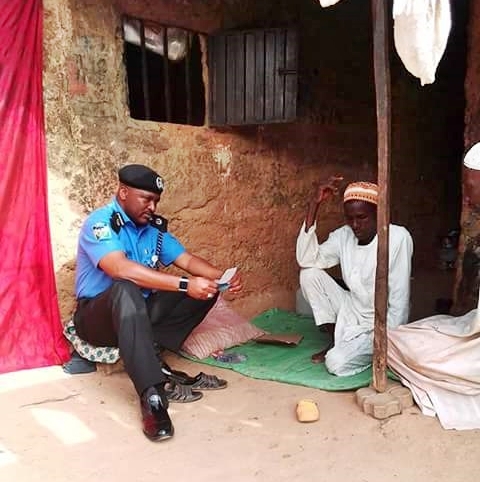 A Nigerian identified as Tutor Sani Muazu, has taken to social media to share some photos of a kindhearted Nigerian police officer who showed love to one of his domestic staffs. The officer visited his cleaner days after he stopped showing up at work only to discover that he was sick. He did not just wish his cleaner well, he also took him to the hospital and cleared all the bills. Sani wrote: “A KING GESTURE FROM A POLICE OFFICER. DCP Ahmad Abdur Rahman visited a Departmental /office cleaner who was seriously sick and could not perform his duty for some days. Same DCP Ahmad took him to hospital and was admitted for treatment and he settled all his hospitals bills. An exemplary leader.